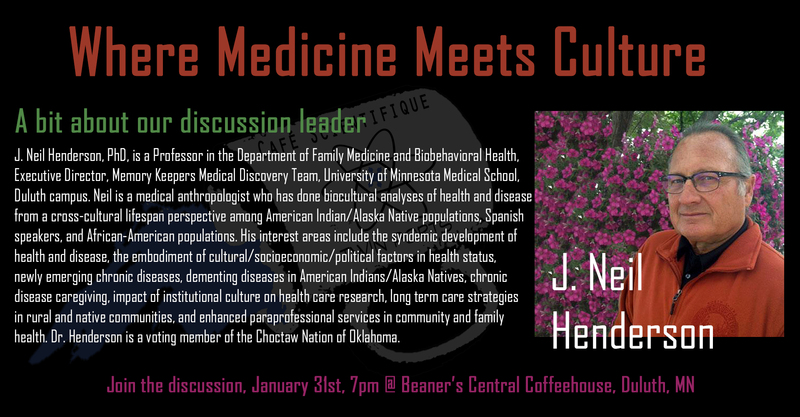 Our events are held monthly on the last Thursday of every month. 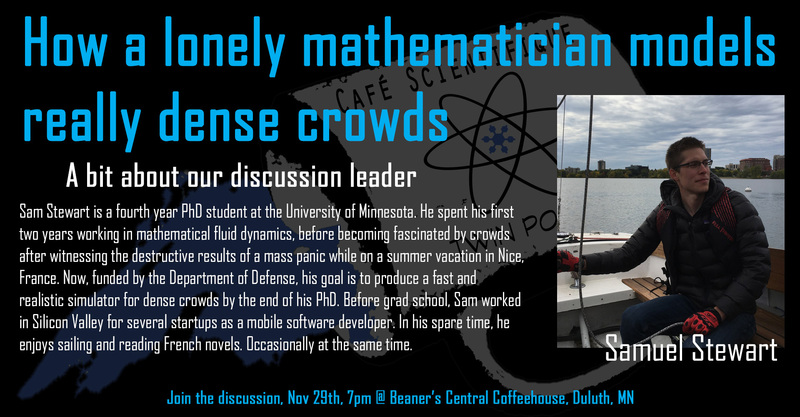 They are traditionally an hour long, with around 20 minutes of presentation followed by 40 minutes of discussion. 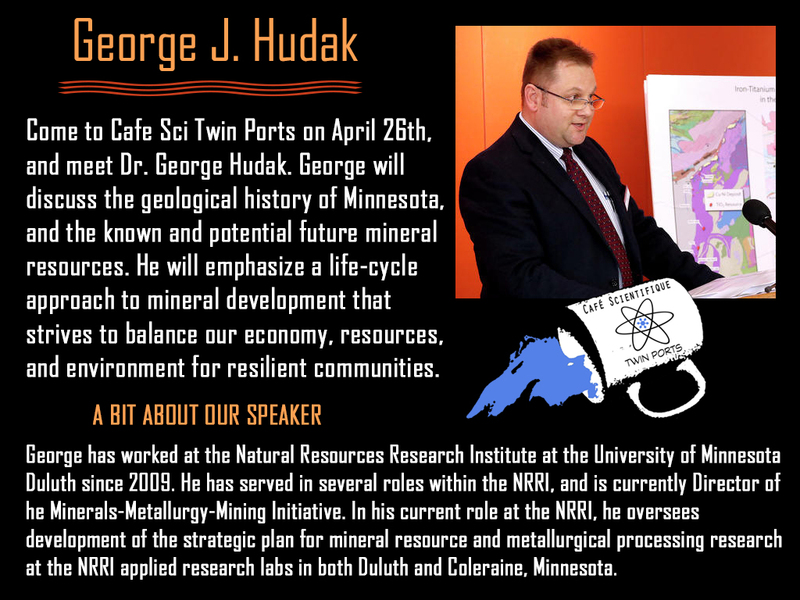 After the hour, we let our presenters off the hook and allow the discussion to continue among the participants. 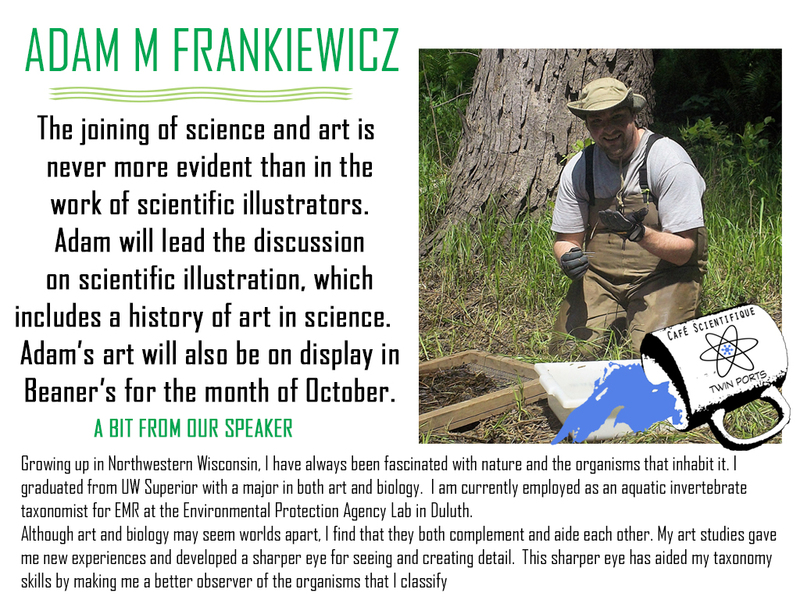 We use our Facebook Page for organizing and sharing information about events. 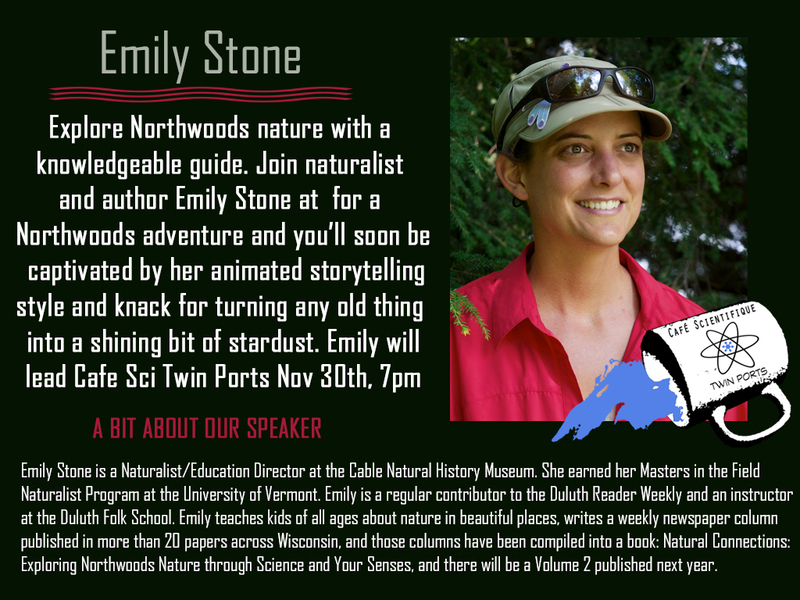 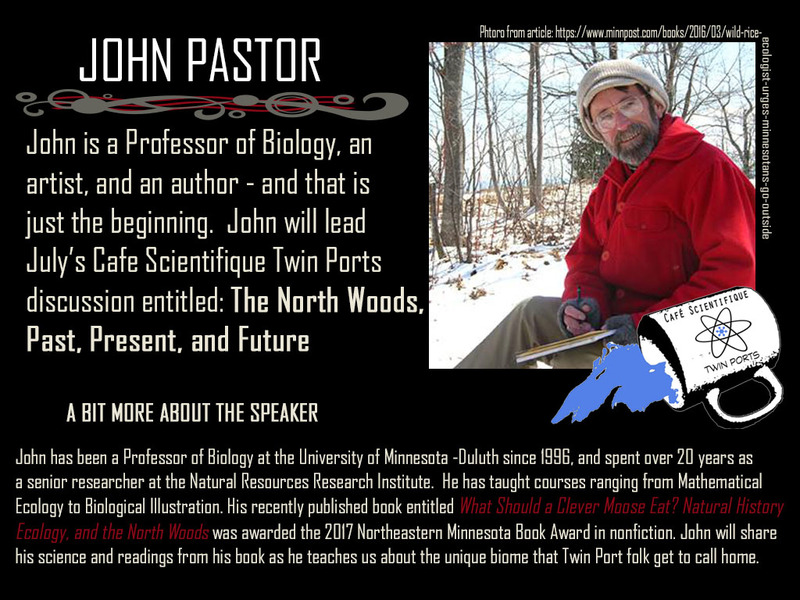 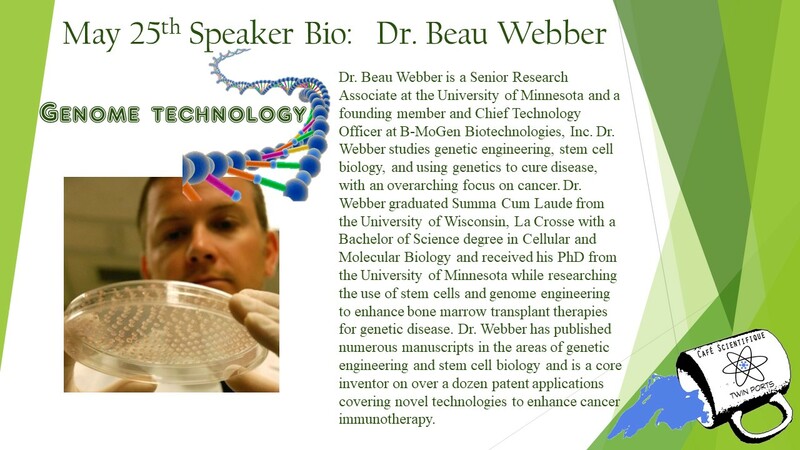 Please navigate to our Cafe Scientifique Twin Ports Facebook Events page for more information about our events. 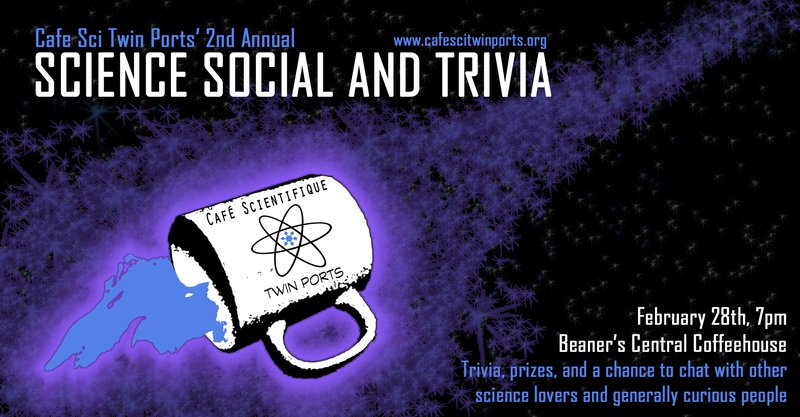 If you are interested in sharing your science through Cafe Scientifique Twin Ports, send a note to info@cafescitwinports.org and let us know! 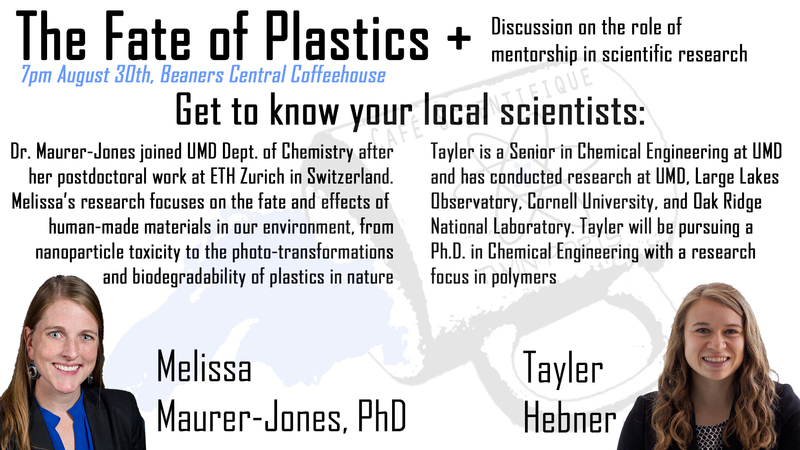 We are working on developing a variety of ways in which the scientists in our area can connect with their community. 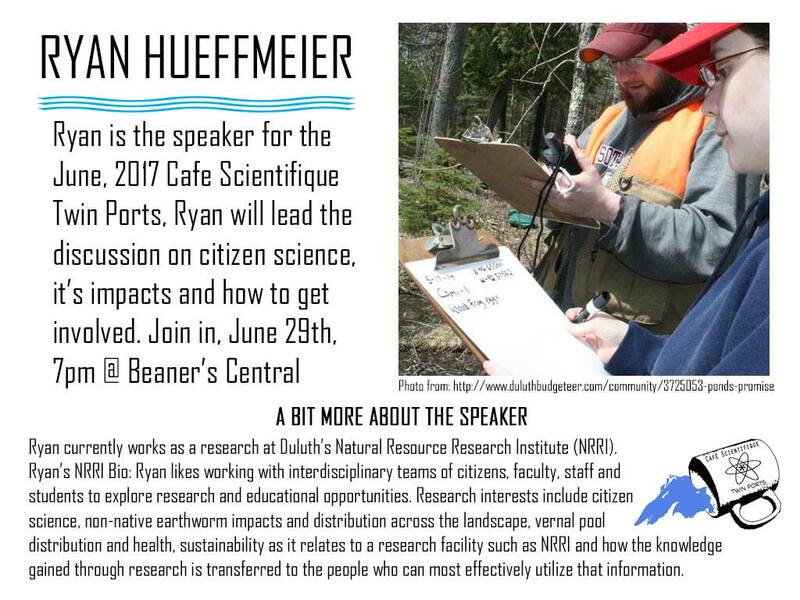 June 2017: Ryan Hueffmeier – Citizen Science! 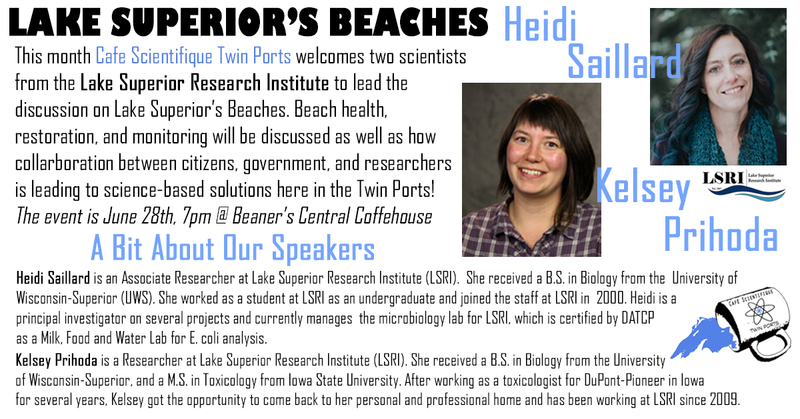 Cafe Scientifique Twin Ports wouldn’t exist without the dedicated scientists who have given their time to lead discussions. 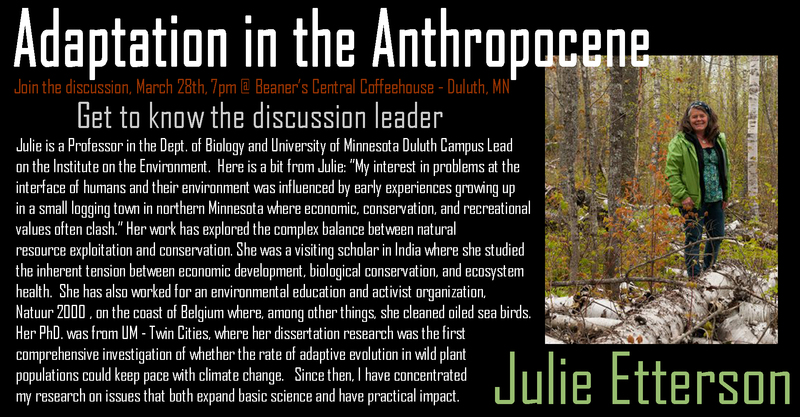 March, 2019: Julie Etterson, Adaptation in the Anthropocene, the resurrection is near! 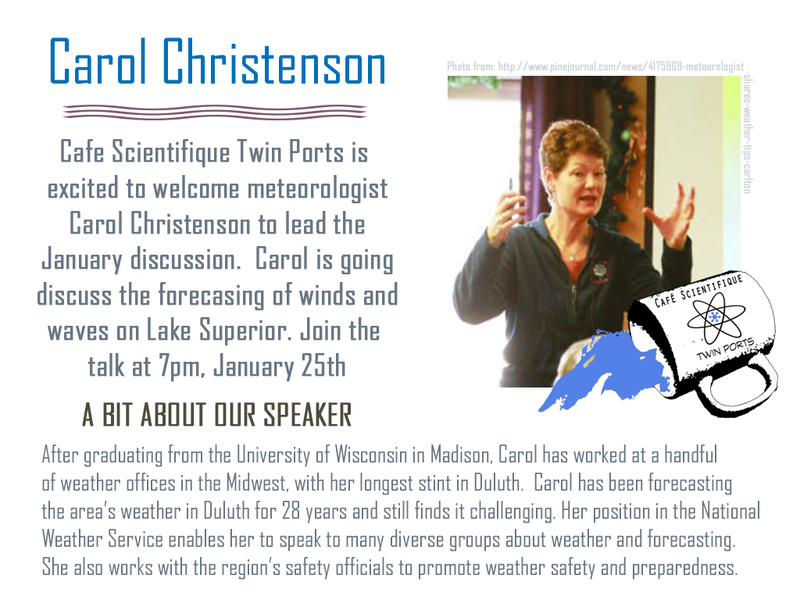 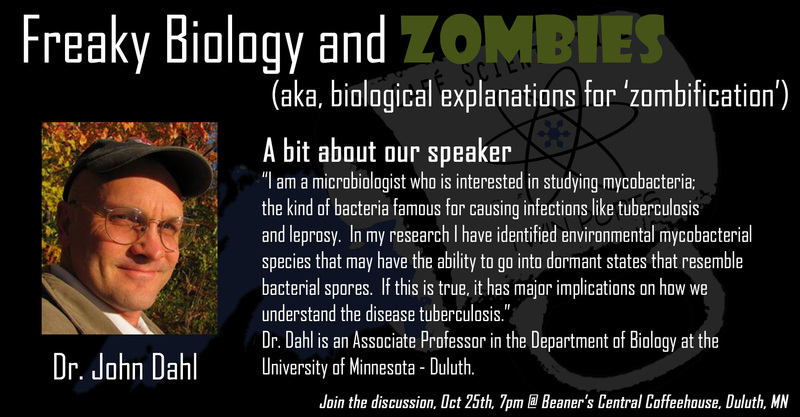 Cafe Scientifique Twin Ports is a volunteer-run community organization based in Duluth, MN and serving the Duluth, MN and Superior, WI communities. 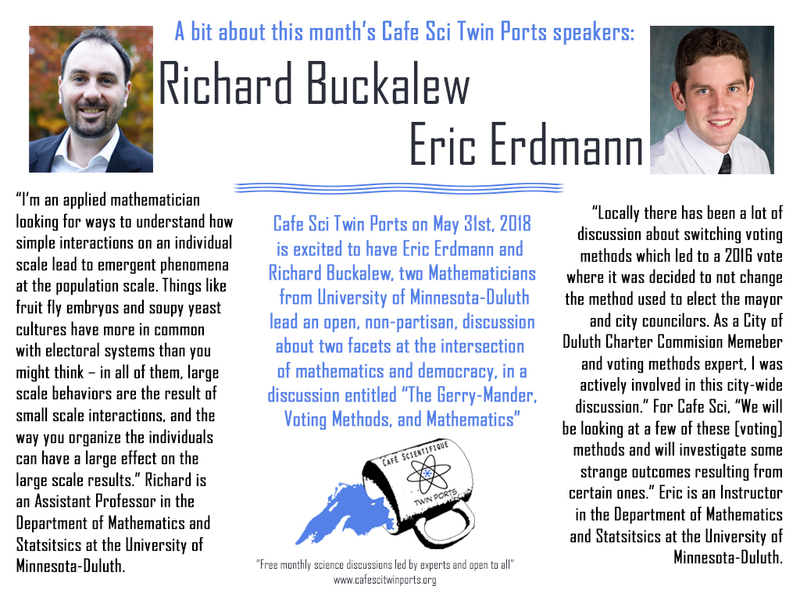 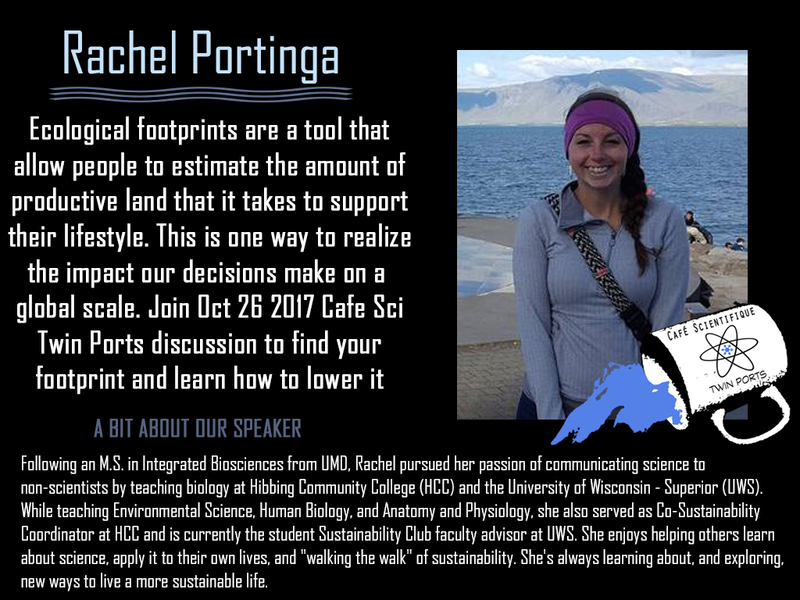 Cafe Sci Twin Ports was formed by a small group of individuals who wanted to create greater access to science and the scientists within our community. 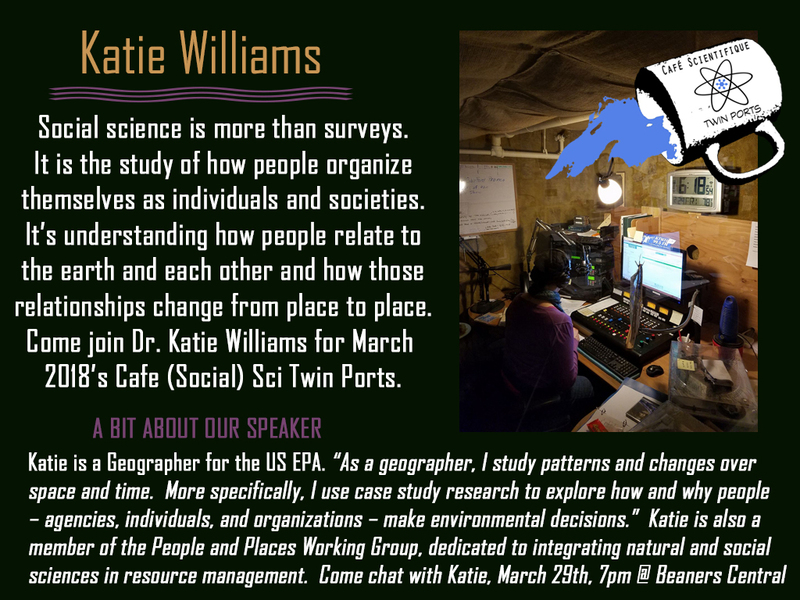 If you want to learn more about who we are and we do, feel free to email us at info@cafescitwinports.org or come to one of the events and chat with one of our organization team members. 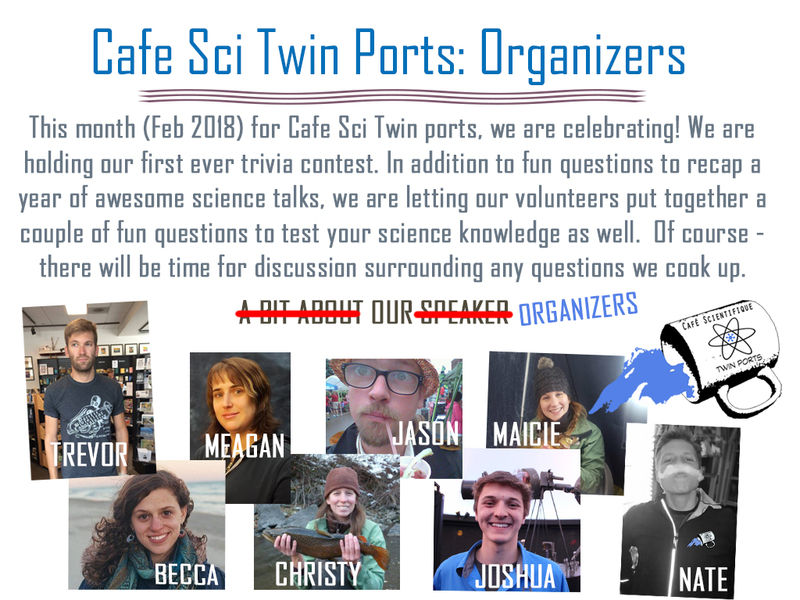 Speaking of team members, below are pictures and names of the volunteers who have given their time and effort to help make Cafe Scientifique Twin Ports happen. 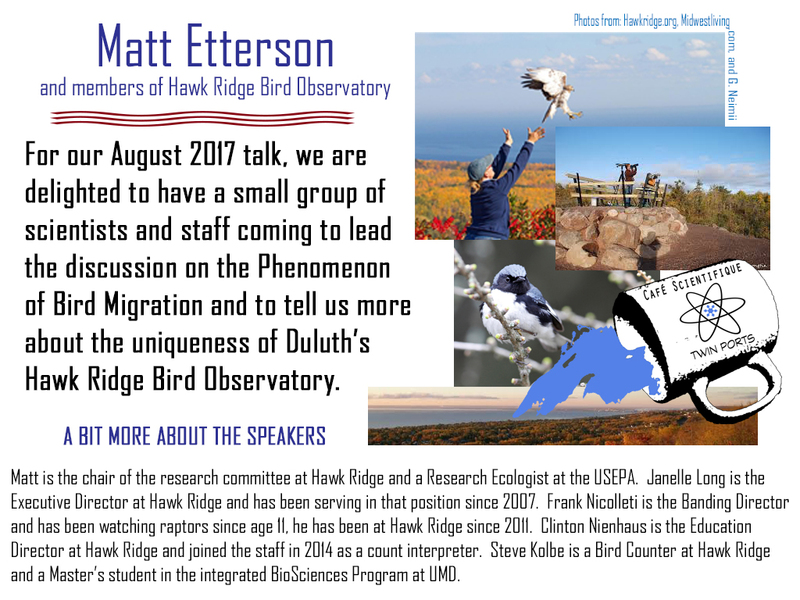 As you can imagine, we are not the first group of science lovers who wanted to do something like this. 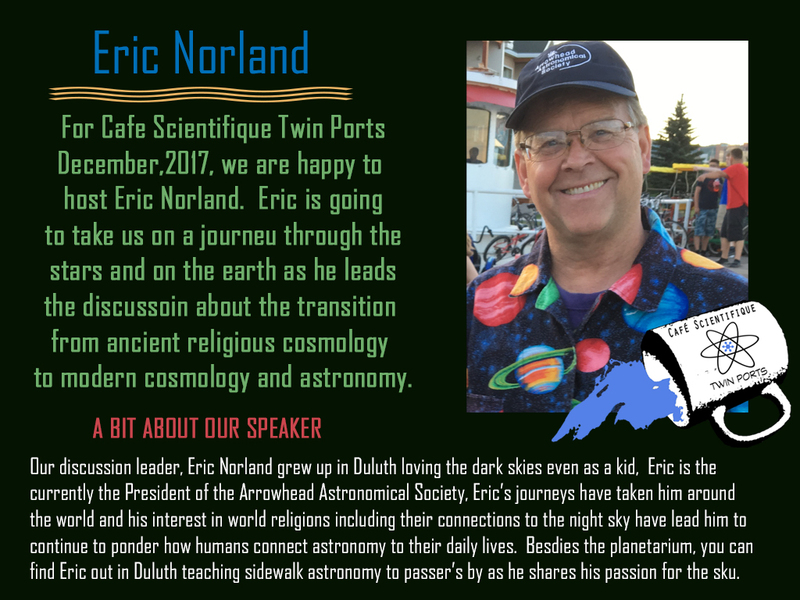 Besides just sounding fancy and being slightly difficult to say Cafe Scientifique represents the efforts of many similar-minded folks around the world! 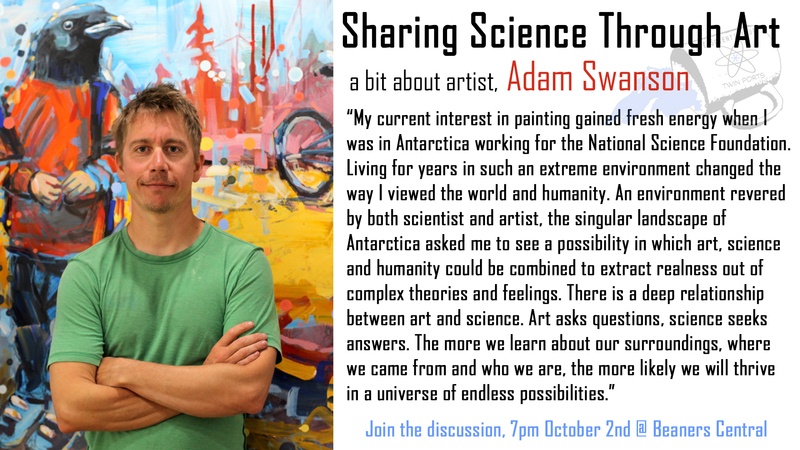 You can find Cafe Scientifique’s from here to Aukland, all locally run, all doing what they can to share their love of science with the communities they live in.